As a dentist, you use the best technology available to care for your patients. But you should also use technology to manage your patient relationships, finances, marketing, and other operational aspects of your practice. The emergence of cloud technology brings many benefits to different businesses. Dentists can use cutting-edge software and apps to run an efficient and modern practice. In this blog post, we’ll explore the various solutions dentists should use to their advantage. Appointment scheduling software – Properly managing your patient appointments is imperative. You can easily book and track your appointments using software with scheduling features. Patient records software – Your staff can use modern cloud solutions to efficiently access patient records whenever they’re needed. Patient billing/insurance claim software – You can use dental billing software to submit insurance claims and generate bills for your patients. Patient reminders – Does your practice book appointments weeks or even months out? With the right software, you can send automate reminders to your patients so they remember when they’re due to come in. Accounting software – Keeping tracking of your practice’s finances is much simpler when you use cloud accounting software. The right solution can connect with your online banking and other financial software so many of your transactions are automatically entered into your books. Payroll software – You can use payroll software to ensure your employees are properly paid and your records are accurately updated. Merchant processor – You can accept credit and debit card payments using a merchant processor. Bill payment software – Your practice’s bills can be managed and paid online using bill payment software. A quality solution will also connect with your cloud accounting software. Cloud document storage – Storing digital versions of your documents in the cloud has many benefits over using a filing cabinet. You can learn more about the benefits of cloud storage in this blog post. Website – A quality website is the backbone of a solid marketing strategy. Create various pages that list your services and other information people should know. Social media – In addition to a website, you can use social media to reach potential patients and provide a glimpse of what it’s like to be care for by your practice. Email software – As mentioned above, you can use email software to send automated reminders and other messages to your patients. Online reviews – Many people consult review websites before selecting a new dentist. You can learn more about managing online reviews in this blog post. Different technology can help your practice in many different ways. Implement the right solutions and many of your operational responsibilities will become much easier to manage. BookKeeping Express (BKE) is the leader in accounting and bookkeeping for dentists. 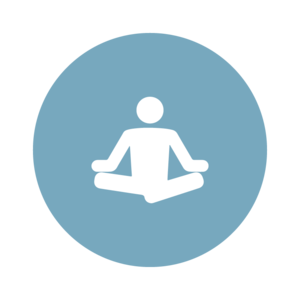 Visit our health and wellness page to learn how we can serve your practice.